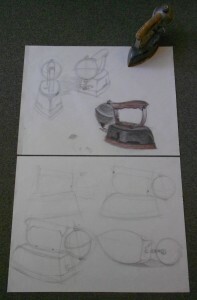 It’s been wonderful watching Gina’s work progress the past couple of months. 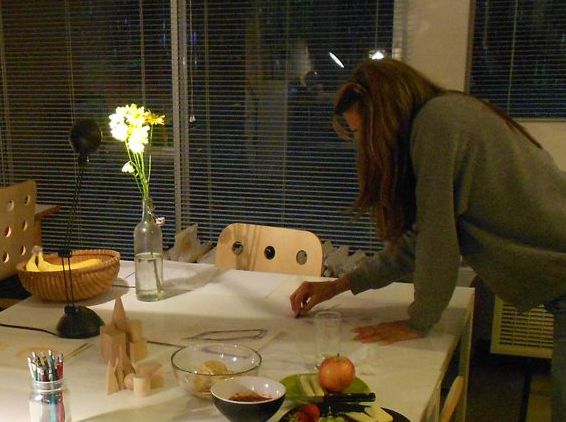 Her level of concentration while making observational drawings (shown in above photos) amaze students in our evening Expression Session adult drawing classes. 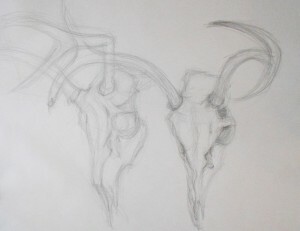 Gina has helped out as a studio assistant for our Draw to Learn program and First Friday Art Tour sketch parties. She just graduated from UC Santa Cruz with a degree in psychology and enjoys playing the piano. This summer Gina is going to Cambodia to help school children in a remote village. 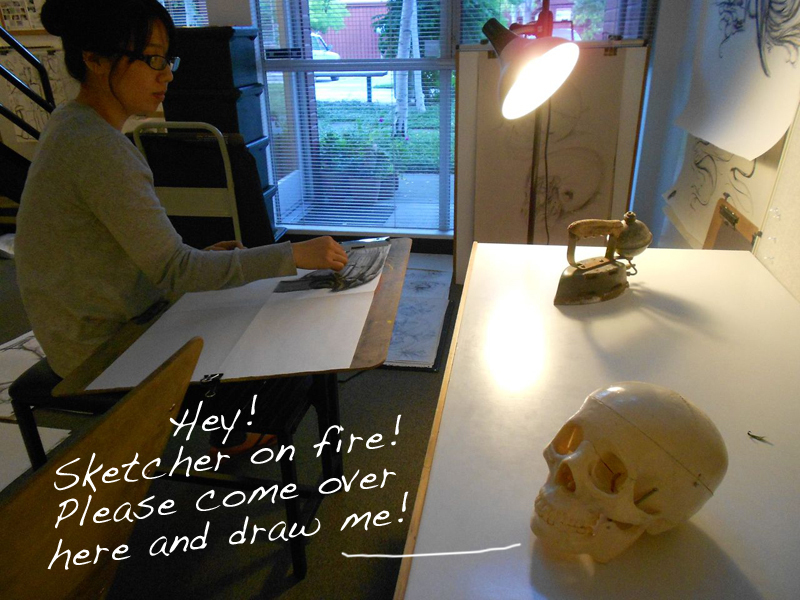 She’ll be taking the Scribbles Institute lessons along with her. Kids in Cambodia will be drawing our favorite little crab and puffer fish! 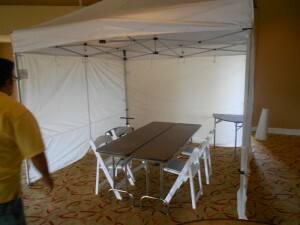 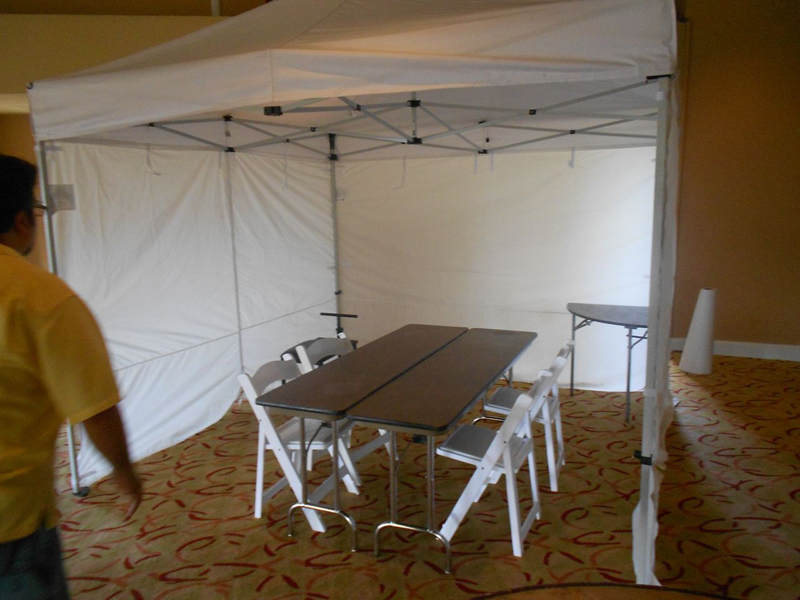 In-Tents! 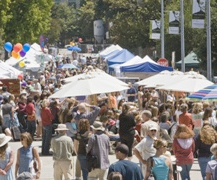 Visit Us at the Cabrillo Festival’s Church Street Fair, August 4 & 5! 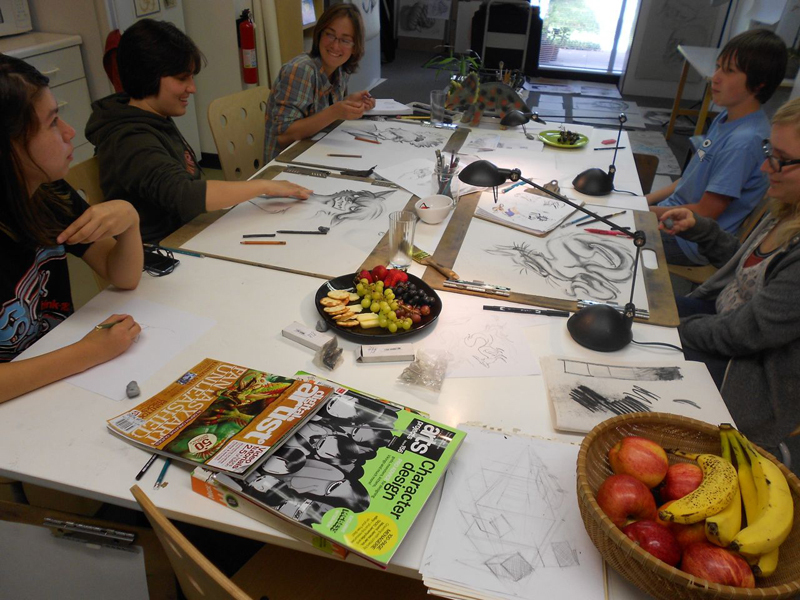 Above left: Students (left to right) Shannon, Ratko, Richard, and Orsolya wrap up a fun evening of drawing. 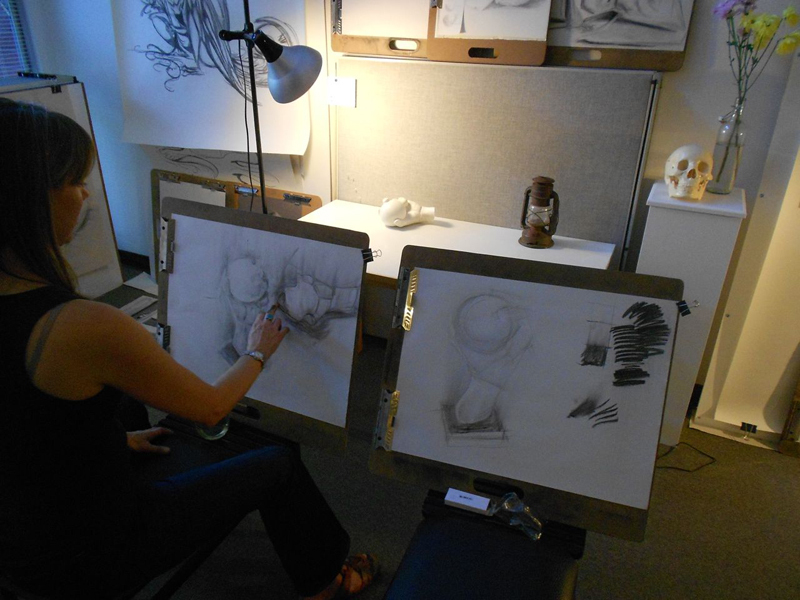 Above right: Expression Session students (left to right) Pamela and Kae work on blocking in and contour modeling in charcoal. 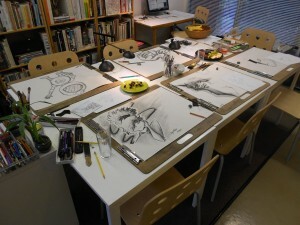 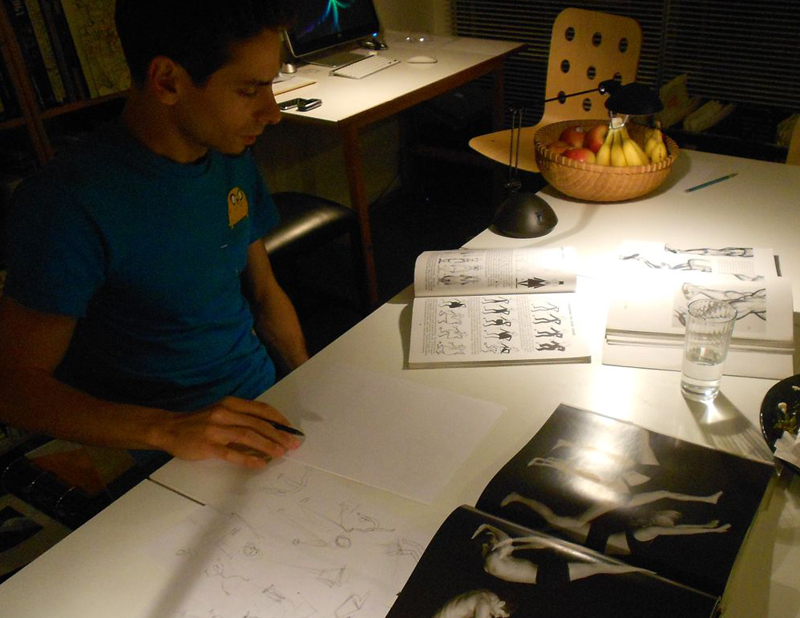 Above left: Ratko studies concept sketching techniques for his job. 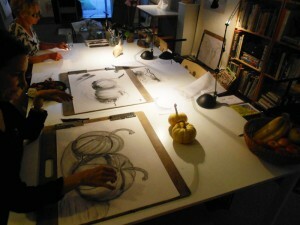 Above right: Bev practices gestural sketches of flowers. 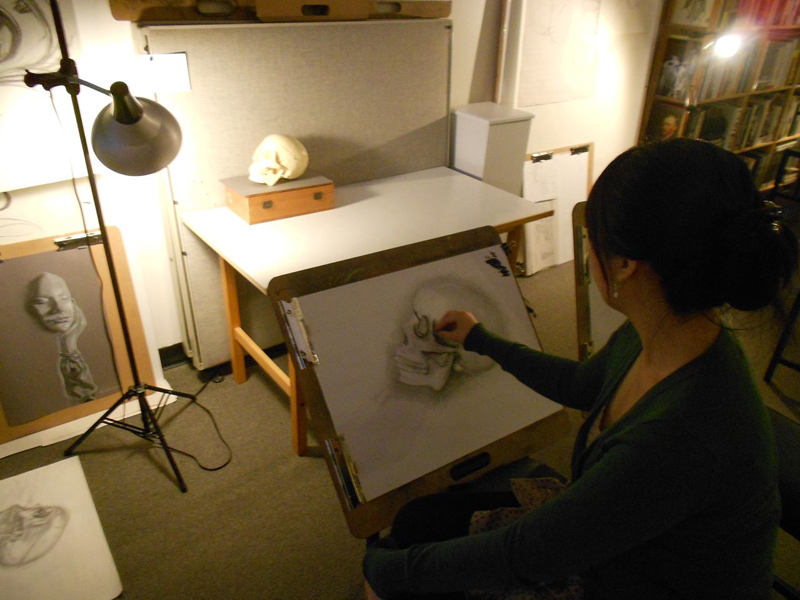 Shannon, shown above, gets our ‘drawing machine’ of the month award for her focused work. 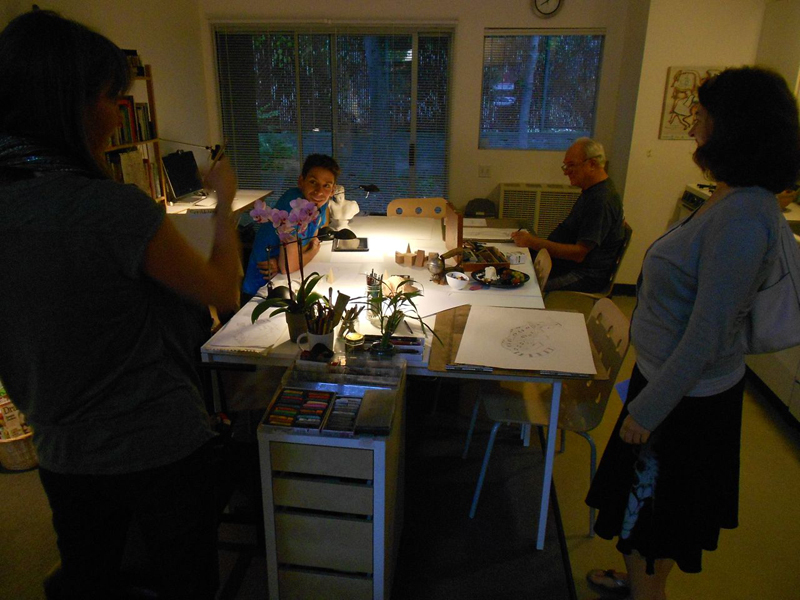 She participated in our Level 1 Basics workshop and completed four, Level 2 sessions–all in three weeks! 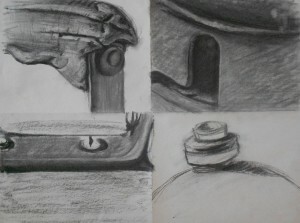 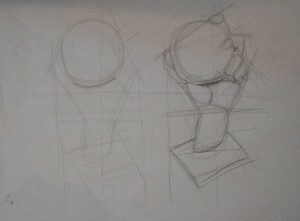 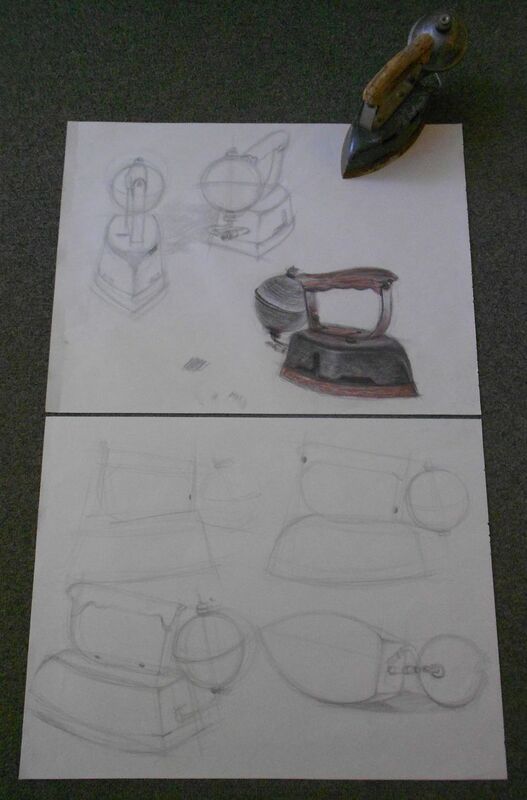 Her block-in studies of the hand/sphere show that she learned solid skills in observational drawing. Cody, shown above, is our newest SI youth sketcher. 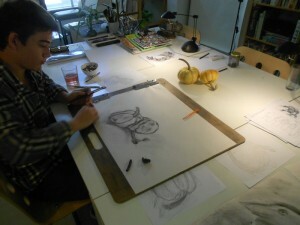 He is from Arizona and is visiting his grandparents while taking in our Concept Sketching summer session. 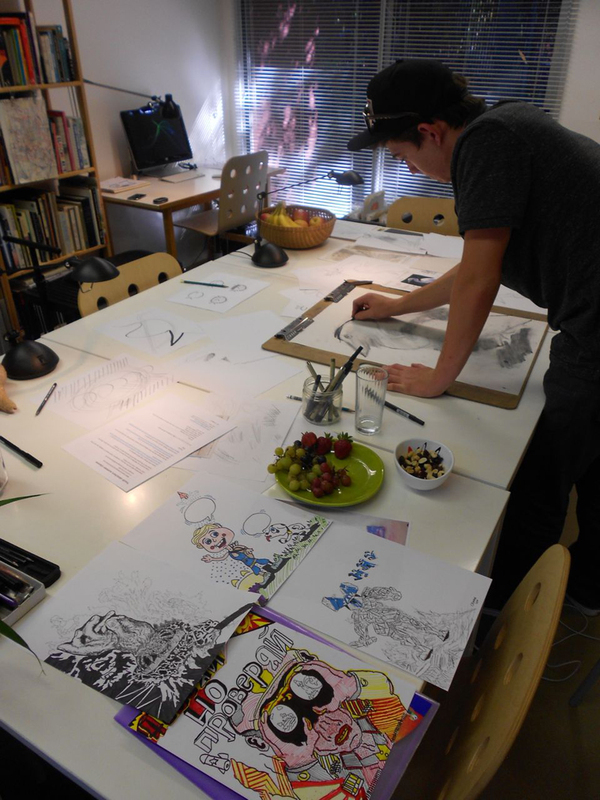 Along with time spent doing cool drawings, shown above, he took a trip into to the City to tour the San Francisco Art Institute. 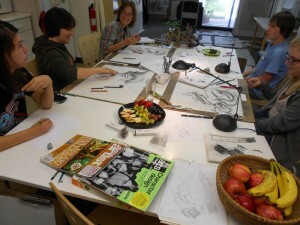 Our SI youth sketching crew: (left to right) Hannah, Helen, Megan, Ray, and Rena. And some of their character concept sketches.